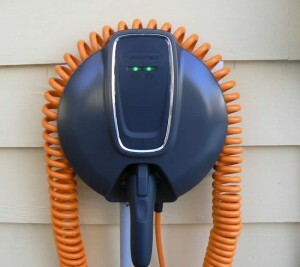 The pictures were taken at ACDC when we were getting the VOLT charger installed in March of 2011. ACDC bought 3 VOLTEC chargers from OTC/ SPX for about $500.00 each. The electrical hook up was easy as as the fuse box was right behind the wall and had 220 v service. To order this charger you need to be a VOLT owner and then you can buy up to 3. Sorry but I have bought my limit. SPX has a charger out now for anyone. It is about $900.00. This link may help educate you. I am not endorsing this web site.